Not long ago California wineries fermented wine in huge concrete vats and Redwood tanks. While the Redwood tanks have gone the way of the Dodo bird, concrete has been finding its way back into the cellar. Magical or not, winemakers like using concrete for a variety of reasons. Insulation. Stabilizing temperature is crucial during fermentation and concrete offers great insulation against temperature swings. Stainless steel is conductive, meaning it easily transfers external temperatures to the wine inside. Oxygenation. Concrete is slightly porous, just like oak barrels, which assists in oxygenation. But the oxygen doesn’t come from outside. Instead it’s released from tiny bubbles and pockets on the interior which form as the concrete cures. This micro-oxygenation helps yeasts thrive and allows aroma and flavor compounds to develop. Movement. 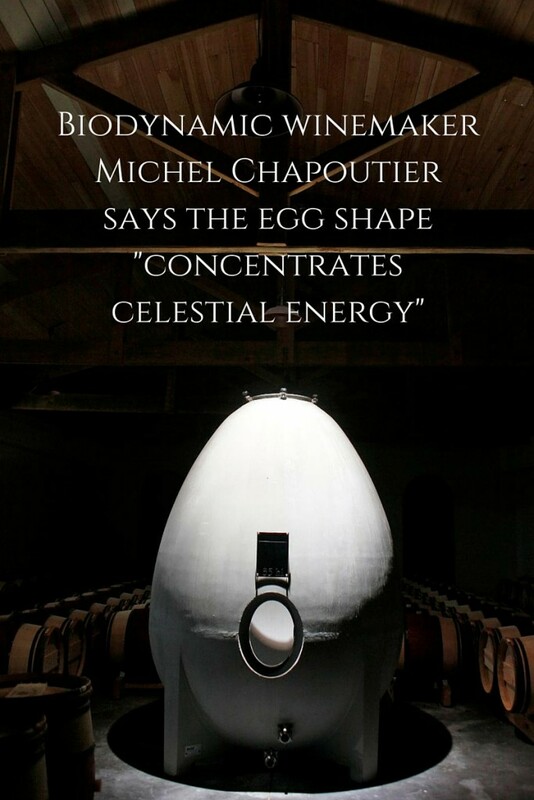 As fermentation gases rise to the top they promote constant movement thanks to the narrow conical shape at the top of the egg. 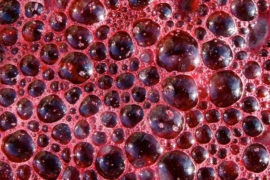 The wine stays in contact with the lees much longer, reducing or eliminating the need for pump-overs and lees stirring. Texture. Wine develops a creamy texture without the secondary flavors that oak imparts. 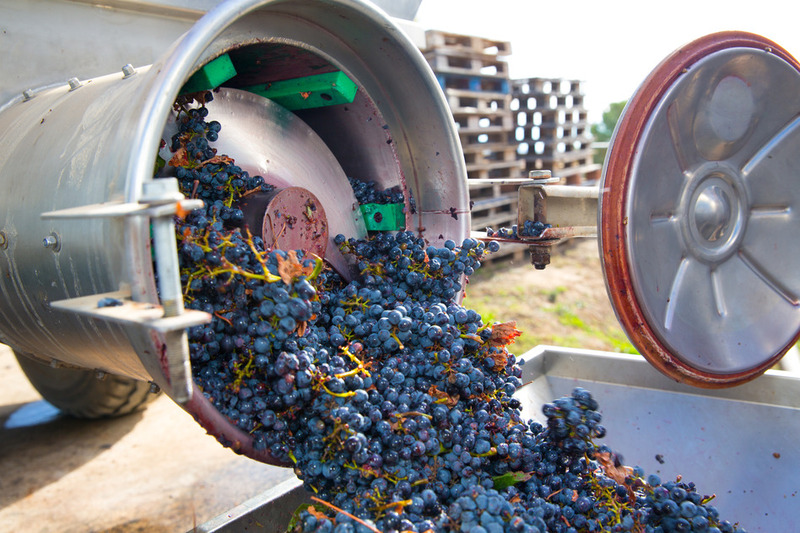 Some winemakers find a touch of minerality in the finished wine. Freshness. Many winemakers find concrete preserves fruit flavors and aromas unlike oak which imparts vanilla, tannin, and spice notes. Less racking. Fermenting wine in concrete sees very little reduction in volume, reducing the need to rack the wine as often. Some winemakers take it even father. Château Pontet-Canet added some of their own terroir to the tanks, blending dirt from their vineyard into the concrete mix. When Saxum’s Justin Smith learned this he did the same thing, sending a load of fossil-rich soil from his James Berry Vineyard to Sonoma Cast Stone for his custom terroir-infused eggs. 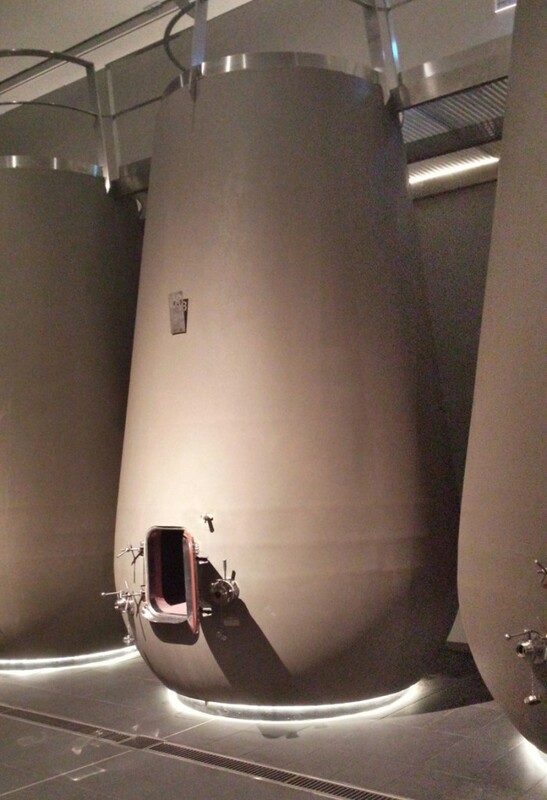 Château Prieuré-Lichine employs a room full of these huge cylindrical concrete tanks for fermentation. Ten years ago it was hard to find a concrete egg in Napa Valley. Rudd Oakville Estate was among the first to import a few from France in 2003. Getting the eggs wasn’t easy though. They had to import the heavy tanks from France at a considerable cost. Luckily a few domestic options emerged. Steve Rosenblatt of Sonoma Cast Stone recognized the opportunity and began making concrete tanks in 2011. Today you’ll find them at Quintessa, Harlan Estate, Odette, and Viader to name just a few. Most winemakers see concrete as another tool they can use to make better wine. 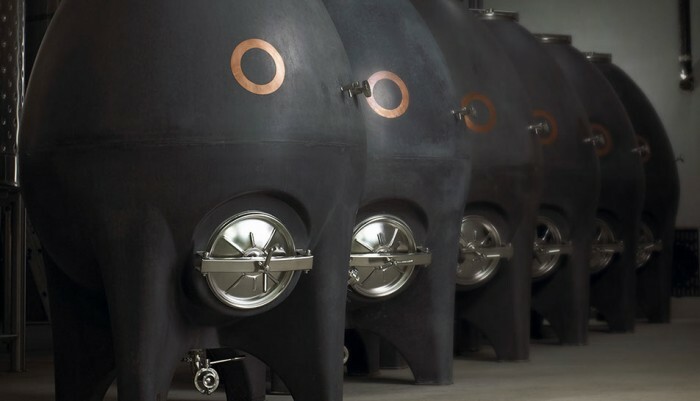 Some use it exclusively for fermentation and aging of certain wines, while others use it to ferment a small batch for added complexity in a final blend. Not everyone loves concrete though – Flowers winery tried the tanks for several years but found the results “muddy” and lacking the precision their stainless and oak fermentation.